Gerber Paraframe I 22-08445 - Ti-Grey, Serrated. Looking for a strong, lightweight pocket knife? 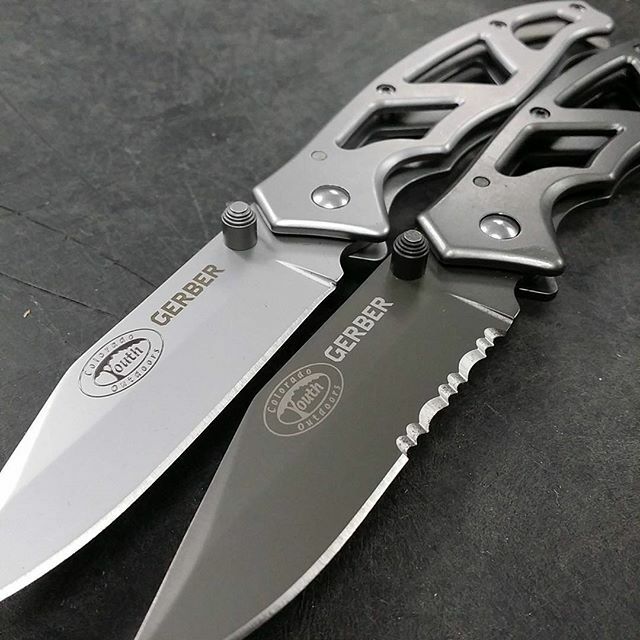 This Gerber Paraframe I grey serrated edge knife might be just what you are looking for. The handle is an open style frame, which makes the knife very lightweight. All the metal on the knife, what little of it there is, is coated in titanium nitrade. Sleek, urban style is sure to be a hit. Frame lock system to keep open in place and dual thumb studs to help open the blade up with one hand.